Breaking into the top tiers of the e-commerce business! There exists a rich profusion for opportunities in this era of technology. 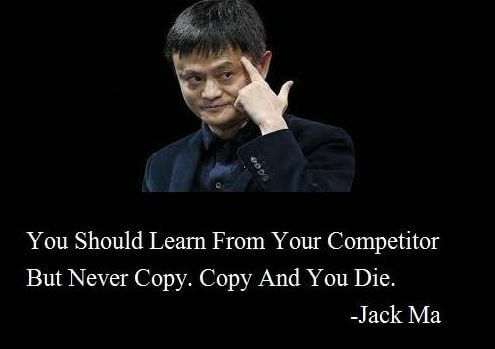 With due respect to the traditional forms of businesses, it is unwise to stick to them, since more evolved and profitable alternatives have surfaced the past decade or so. However, if one traces back to the first few transactions to be made in the history of mankind, one important feature stands out. In every point of time, businesses have had the sole objective of satisfying the customers in the most competitive of manners. While there has been no change in the principle objective, the means that several businesses have resorted in order to strive in their respective fields have been nothing but innovative, over the years. The E – Commerce business has by far captivated the most intelligent minds, and strategists in the industry. The reasons can be attributed to its high scalability and the opportunity to interact with their product audience. While it is no rocket science, there are a few questions that an entrepreneur needs to have clear answers to, if he or she is planning to venture into the interminable field of e-commerce. The CEO of Hewlett Packard, Meg Whitman says, “Communication is at the heart of e-commerce and community.” What it clearly refers to is the interface. Interface maybe a website, a mobile application or a web application. The very objective of it is to communicate its purpose efficiently and transcend the limits of conventional business procedures. Although this may not seem as imperative as the rest of the points mentioned, it is one of those key strategies when implemented could reap multiple benefits. Efficient page navigation and filters could help the customers’ eye for the products they are looking for. This is one of the more crucial steps in the inception of any E – Commerce Business. Once the idea is conceptualized, it is important to define the target audience and micro territory into which the brand will hold the stakes. Once this is established, all efforts must be taken to penetrate your products to the aforementioned market. 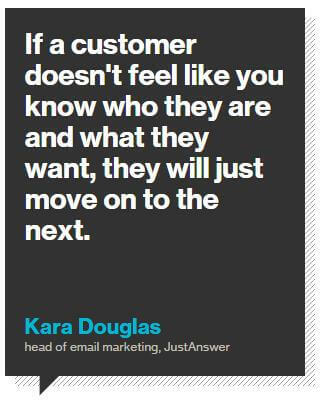 “You can’t wait for customers to come to you. 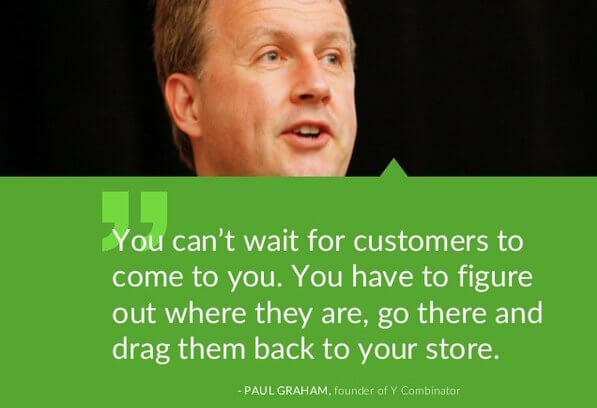 You have to figure out where they are, go there and drag them back to your store.”- Paul Graham, Y COMBINATOR. This is an important policy that not only helps in the inflow of customers, but also goes a long way in customer retention. An E – Commerce Business line, offering personalized features and catering to a certain band of customers, has almost 75% chance of retaining the consumer base. Also, differentiating products in accordance to the location and the population is a wise idea. The present generation has brought in hordes of discerning customers to the fore, who have a clear understanding and requirement of how their product should resemble. Thus the prime concern of E–Commerce Businesses should be to cater to their needs efficiently and seamlessly assist them, by responding to their queries and issues concerned with the product and services. This ensures a steady growth for the business and also the consumer appreciation would hold them in good stead for any business expansion plans. Looking to kick start your own e-commerce site, we can provide you a free consultation on how you can go about it. Contact us.